There were 3,000 hours of Olympic coverage on BBC television and online. The radio was there when those methods were unavailable - and even more immediate in some ways because it can switch between sports so rapidly. The website even showed which athletes have the most similar body shape to you. As a proportion of my annual licence fee, this all cost me £6. My only complaint (apart from the monotony of montages) is that I wish the presenters and commentators would stop saying that history was being made, and asking the athletes how they felt about it. Many of the best moments, and others you would never have known about otherwise, were captured by press photographers: The Guardian’s daily gallery has been a highlight in itself. London 2012 still makes me emotional when I recall it. We may have won more medals at Rio but only the athletes and coaches were involved in this one – despite the National Lottery's claims to the contrary. We were the hosts, our culture set the tone, our land was the dramatic backdrop - and we loved it. The Games Makers exemplified this, and we lived as vicariously through someone cheerfully pointing the way to a venue from a Tube station as we did Mo Farah's triumph or Gemma Gibbons' emotions. Blaming Rio's desperate (and disinterested) residents for not attending felt like criticising the wind for not blowing enough for the sailing competitions. My toddling niece says “Wow” to just about anything, which is a sort of sanity, when you think about it. The best of sport can make us say “Wow” and no other sporting event packs in so much that is wow-worthy than the Olympics: Usain Bolt running in the only lane of the race track not covered in treacle, Neymar slotting home a gold mdeal-winning penalty with the weight of 200 million hysterical compatriots on his shoulders, Simone Biles exploding across the gymnasium until the very moment she wanted to be suddenly still. I would give a gold medal to every person who did a handstand on the edge of the 10-metre diving board. Even in what seems mundane by comparison, the sheer variety of the people involved and what they do is wondrous. 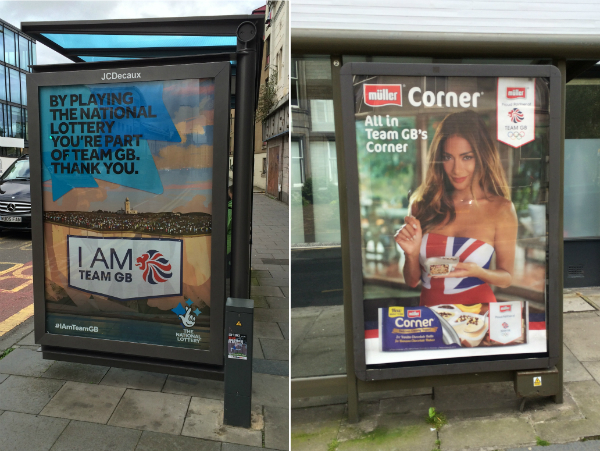 British athletes gave us plenty to smile about, and everyone will have their own favourites. I think Laura Trott is mine, combining as she does the wide-eyed pleasure of just being there that used to be the only consolation British Olympians had, with imperious strength and determined dominance of the Lottery era. Funding fuels organisational excellence, which harnesses and thus releases the talent and determination of so many athletes. We’ve found another thing we’re brilliant at, it seems. To the criticism that this fascination with success is an insidious form of nationalism, I’d refer to London again, when we welcomed and cheered for everyone. I’m more concerned that we’re making sport an idol: something that we assign more value to than it truly has, setting it up in God’s place as our joy and hope and consolation. In its right place, however, it can still make us smile and say "Wow". The modern Olympics were conceived as a showcase of what we are capable of. It always succeeds in this, but not perhaps in the way it intends. Along with the brilliance, from dodgy boxing decisions and lying swimmers to government-arranged doping and the plutocratic robbery of the city itself, the Olympics is yet another arena in which humans prove their wonder and their wickedness. None of this surprises the Christian. We celebrate the good knowing that it comes from humans being in made in God’s image; we mourn the bad keenly aware that the same self-inflicted sickness resides in our hearts too. God’s Word has told us these truths and the Olympics merely demonstrate them. What has been unique about these Games is the display of a greater hope than ourselves. 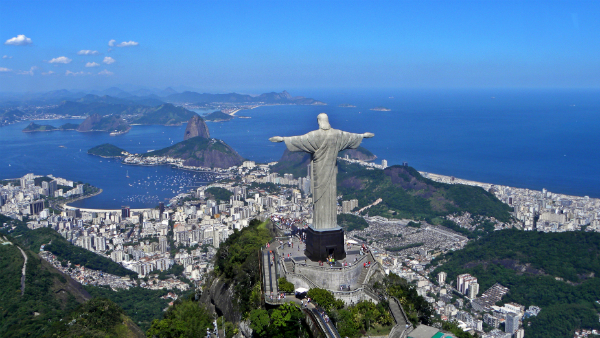 Towering over the city stands the statue of Christ the Redeemer. Justin Gatlin cannot escape his past as a drug cheat. He reminded us that he'd served his time for doping offences but we insist that a temporary ban is insufficient. We want him to apologise profusely, and probably to remove himself from the competition. We want a price to be paid. A redeemer pays a price, like a ransom, to set you free. We are all slaves to sin, even the best of us, tugged willingly or not by its promptings, doing things that damage others and ourselves. So Jesus came to set us free, settling the cost when He died on the cross. The Christ the Redeemer statue stands in victory and His arms are still stretched out as they were on Good Friday. He offers welcome and shows how it was won for us. An Olympic dream can be achieved by blood, sweat, and tears, but redemption only comes through Jesus’ blood (Ephesians 1:7). The BBC repeatedly spoke about inspiring a generation. I'm feeling inspired, though I'm unlikely to be competing at the next Games, despite an occasional sense of empathy with the cyclists as I pedal to the shops against a stiff breeze. I've been inspired by seeing the fruit of teamwork. It doesn't just deliver success, it multiplies and magnifies joy. The deep commitment and love for each other that you see when teams celebrate is a beautiful thing. Of course winning hides a multitude of sins but it also shows the truth of team. God is Trinity: the Father, the Son, and the Spirit have existed and loved and shared for beyond always, and when we work or serve or live or play as a team we display something of Him. A prize greater than gold awaits, ready to be awarded to us by Christ the Redeemer.